Camilla joined Anomaly in November 2014, as Partner and CEO. 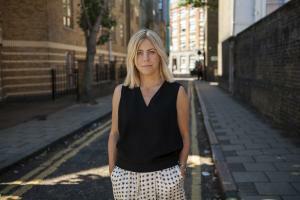 Prior to joining Anomaly, Camilla spent 9 years M&C Saatchi where she worked in a number of different roles, latterly as CEO of the advertising agency. Prior to that in her role as COO of the M&C Saatchi Group she worked across all the specialist agencies and was instrumental in bringing together the disciplines of advertising, CRM, PR, social, mobile, data, research and sponsorship to build one of the most powerful integrated propositions in London. Previously Camilla worked – predominantly in business development roles – at Leo Burnett and Wieden+Kennedy having started her career in 1994 at WCRS. Camilla plays an active part in the UK industry. She is a member and ex President of Women in Advertising and Communications London (WACL). She is also a member of the IPA Council, Facebook’s Creative Council and sits on the Corporate Development Board of Mind.